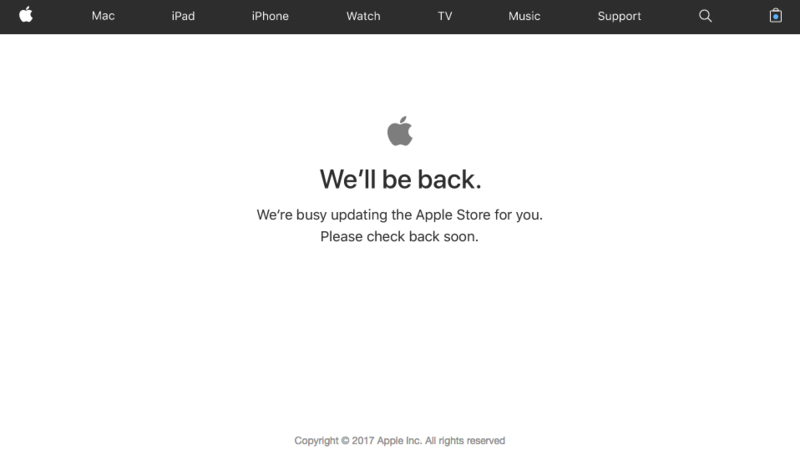 Apple has taken down their online store ahead of iPhone X pre-orders, which will take place at 12:01 a.m. Pacific Time or 3:01 a.m. Eastern Time on Friday, October 27. Apple will accept pre-orders through the Apple website and the Apple Store app. 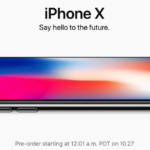 Various carriers across Canada and the United States will also be accepting pre-orders for the iPhone X.
Pre-orders will be available from Apple in the following first wave launch countries starting on October 27: Andorra, Australia, Austria, Bahrain, Belgium, Bulgaria, Canada, China, Croatia, Cyprus, Czech Republic, Denmark, Estonia, Finland, France, Germany, Greece, Greenland, Guernsey, Hong Kong, Hungary, Iceland, India, Ireland, Isle of Man, Italy, Japan, Jersey, Kuwait, Latvia, Liechtenstein, Lithuania, Luxembourg, Malta, Mexico, Monaco, the Netherlands, New Zealand, Norway, Poland, Portugal, Puerto Rico, Qatar, Romania, Russia, Saudi Arabia, Singapore, Slovakia, Slovenia, Spain, Sweden, Switzerland, Taiwan, United Arab Emirates, the UK, the US and the US Virgin Islands. The iPhone X is the most expensive smartphone model we’ve seen to date from Apple, priced at $1319/$1529 CAD for 64GB/256GB models, outright.